Illustrated advertisements have a long history. The beginning of the Industrial Revolution in the mid-19th century saw promotional materials appear independently of the market stall or store for the first time. This was the starting point for promotional illustrations, which generally have a greater emotional impact than purely text-based advertisements — with the exception of texts featuring calligraphy, a style that is currently back in fashion. 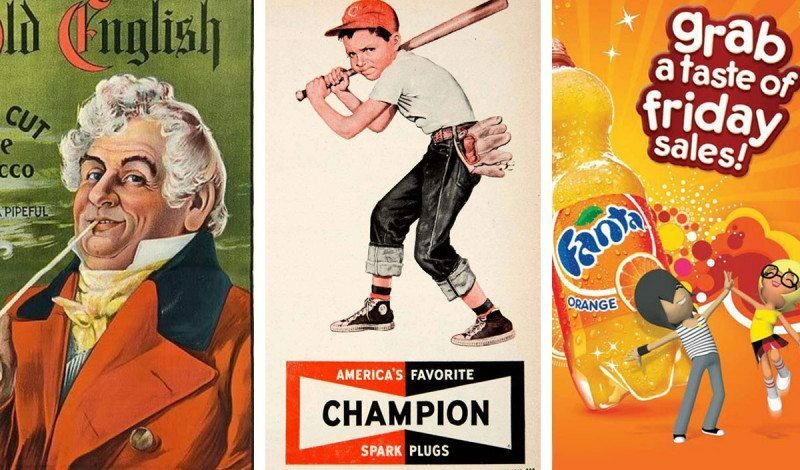 Illustrations dominated advertising until the 1960s, when photographic images, which often have an even higher emotional value, started to take hold. However, illustrations go through something of a renaissance every few years and play a particularly central role in advertisements aimed at children. In contemporary media, digital illustrations play a much larger role than hand drawings. Alldesign still returns to the art of drawing from time to time. We recently used the technique in a project for our customer Rhenus Lub, in which we needed to give a homogeneous form to the lubricant manufacturer’s various containers as part of a product overview. We were able to achieve this using technical-style illustrations.